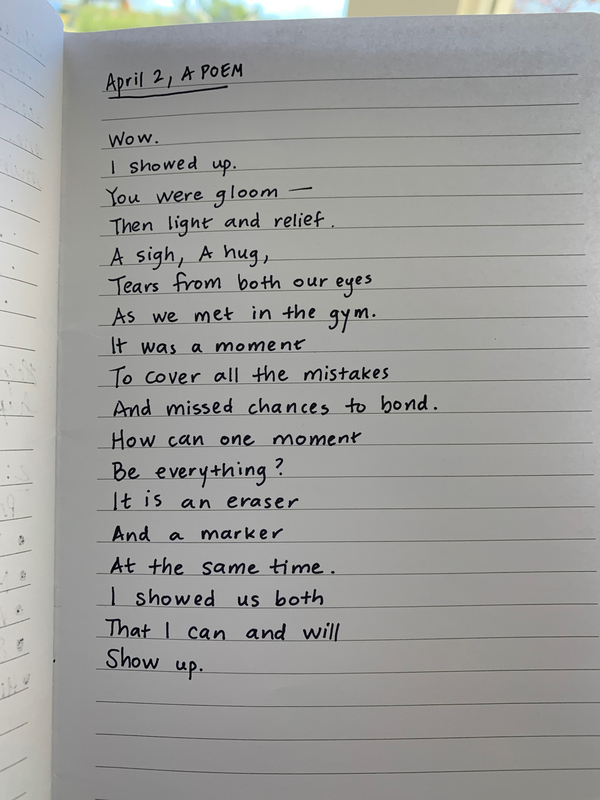 An Eraser and a Marker — Ginger writes. Two weeks ago, Story’s school called me on both of her school days to let me know she was having some anxiety, especially around using the bathroom at school. Then, last week the problems continued. I took Story to the doctor and ruled out a UTI. We even did a second urine sample later in the week to be absolutely sure there was no infection. The doctor recommended baking soda sitz baths, lotrimin, a stool softener, and plenty of patience. Over this past weekend, Story and I made a “story map” of what is going on. She was quite eager to do this activity after learning about story maps at school last week. She wasn’t quite so eager to problem solve, though, which is why she immediately X’ed out the solution box saying there isn’t a solution. I wonder if this physical regression to potty re-training is a symptom of the dormant emotions needing a place to manifest as they are being brought to life in recent weeks. I wonder if the warmth and trust that is starting to form between me and Story is making her question both who I am as her mom and who she is based on that new awareness. I feel in over my head, but I have found backup in the form of a couple of amazing friends and a good therapist and books as guides and a place to journal it out. Suddenly I realized - two people isn’t enough. You need a backup. If you’re only two people, and someone drops off the edge, then you’re on your own. Two isn’t a large enough number. You need three at least. On Tuesday of last week, I was over near the kids’ school for a lunch meeting, so I stopped by to check on Story during her recess time. Note that this was one of the mornings Story left for school sobbing with anxiety. I had no idea how the Lord would meet us both in the moment that transpired between Story and me when I showed up. 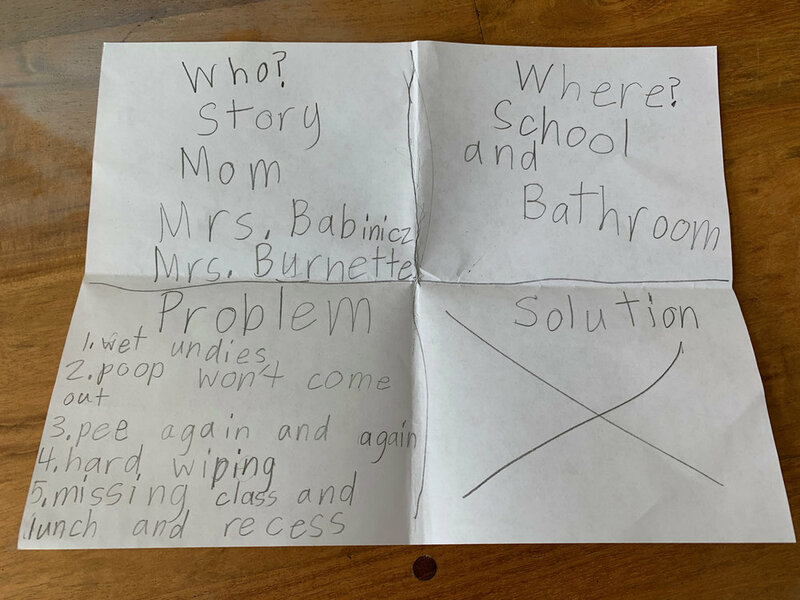 I didn’t see Story on the playground and one of the teachers said she thought Story had gone to the bathroom (no surprise there). So I went in the gym to look for her and just as I came in the door, she was walking toward me. There was a split second, just before it registered in Story’s brain that I was there, that I glanced in her demeanor a deep sadness and aloneness. She was dealing with the bathroom worry alone, this little girl in the big gym all by herself, trying to be brave to go back outside. Then she saw me, and that moment was a miracle. I got down on my knees right in front of Story and hugged her and told her how proud I was of her and that I loved her. We both got teary as we spoke for a few brief moments about her day so far. I told her I was so happy I got to check on her at school before going to my lunch. I walked her outside to the playground, and said goodbye with more hugs and love. Then I drove away, more alive to my daughter than ever. Story and I did eventually do some problem-solving over the weekend and came up with a few things to help her in going back to school today. I arranged with one of my friends who works at the school to take Story to the bathroom at a few specific times today to help and encourage her, especially to assure Story she’s finished and can go back to class now. Story took along her stuffed animal wolf to put in her cubby, and we renamed him Brave to remind her to be brave. Story also took a picture of me to set by her pencil box so I can be close to her all day. Finally, there might have been a promise of a Brusters ice cream date if she could get through both school days this week without sobbing like last week. (I was quick to tell Story that if she really needs to cry, she can, and we can try for Brusters another week; I wanted to be careful not to add additional pressure to the situation). This morning there were a few moments of teariness both as she got ready for school and on the way, but it was such an improvement over last week. By the time I got her out of the van and on her way, I felt like I had done a day’s work. But it is good work, and it is mine to do. Thanks be to God.